Are you looking for FREE things to do in Blackpool? Wonderful, because I’ve put together this handy list of 10 absolutely free things you can enjoy in Blackpool without spending a penny. From buckets and spades on the beach to the World’s greatest light show, there’s something for everyone to enjoy in Blackpool. Now, I can’t guarantee glorious sunshine and blue skies, but one thing is for certain, you will not be left wanting for entertainment while visiting the many attractions of UK’s most famous seaside resort. Whatever your age, Blackpool beach is the perfect day out for those looking to indulge in some traditional seaside fun. Children can build sandcastles and paddle in the sea while parents can enjoy the relaxing sights and sounds of coastal life. Blackpool seafront has been given a continental makeover in recent years, so if you haven’t visited the resort in awhile you’re in for a pleasant surprise. With six new headlands, sculpted public spaces and Spanish-style steps leading down to the beach you won’t be short of things to see and do in Blackpool. Oh, and don’t forget the donkeys! 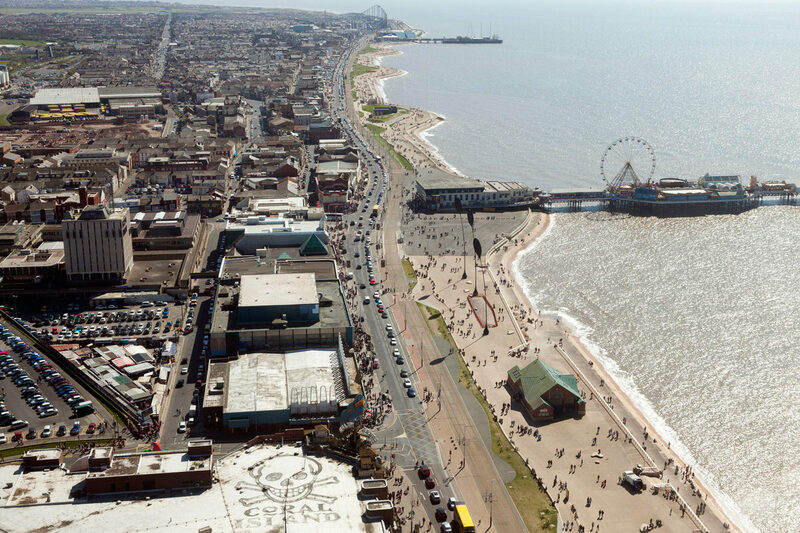 The most popular spot along Blackpool beach is between North Pier and Central Pier. It can become crowded during the summer holidays, so I recommend heading south to nearby Starr Gate if you’re looking for a bit more peace and quiet. Check the tide times beforehand and make sure to bring a picnic, that way you can venture down the promenade later on and treat yourself to a delicious Notarianni’s ice-cream with the pennies you’ve saved by bringing your own lunch! 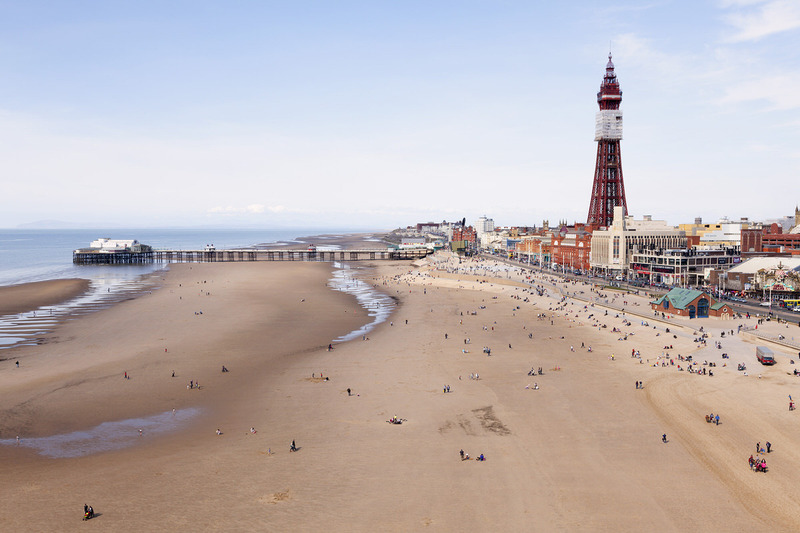 If you haven’t been to Blackpool before, then a leisurely walk along the famous Golden Mile is not to be missed. This stretch of promenade, between North Pier and South Pier, features a plethora of amusement arcades, hotels and food outlets as well as numerous eye-catching sculptures and new public spaces to eat, drink and relax. It’s a great way to spend a few hours when combined with a day on the beach. The promenade and beach are right next to each other and, both are completely free to enjoy! Blackpool loves cyclists, so bring your bicycle and you’ll have even more time to explore the promenade. Blackpool is the only British holiday resort to have three fabulous piers each packed full of exciting activities and rides. Each pier offers something different, so make sure you visit all three and let me know which is your favourite! The most prominent of the three piers – Central Pier – can be seen from miles away due to the enormous Ferris wheel which is over 100 feet high. 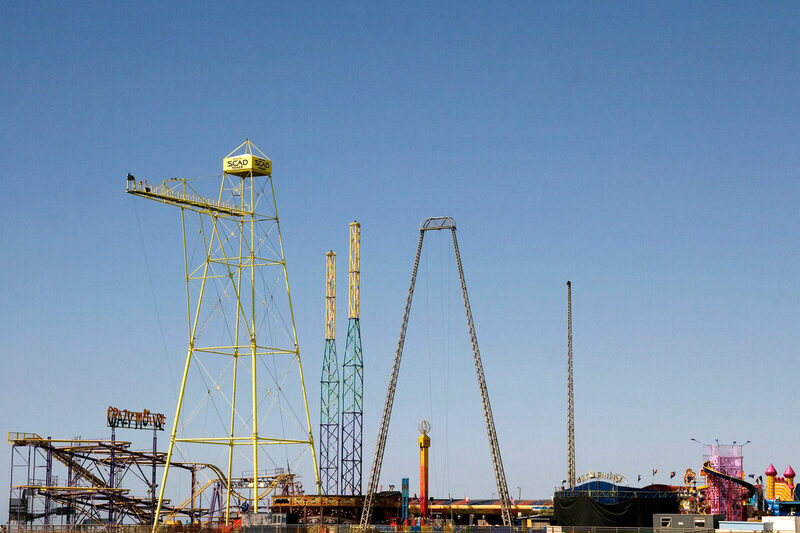 Some of the attractions on the piers, like the rides, require you to pay however admission to all three piers (and the fantastic views) are 100% free. Time your visit to coincide with the low tide. You’ll be able to stand directly in front of the piers and enjoy wonderful views that are only visible for short periods of time. Be mindful of the tide times, as the tide does come rushing back in! 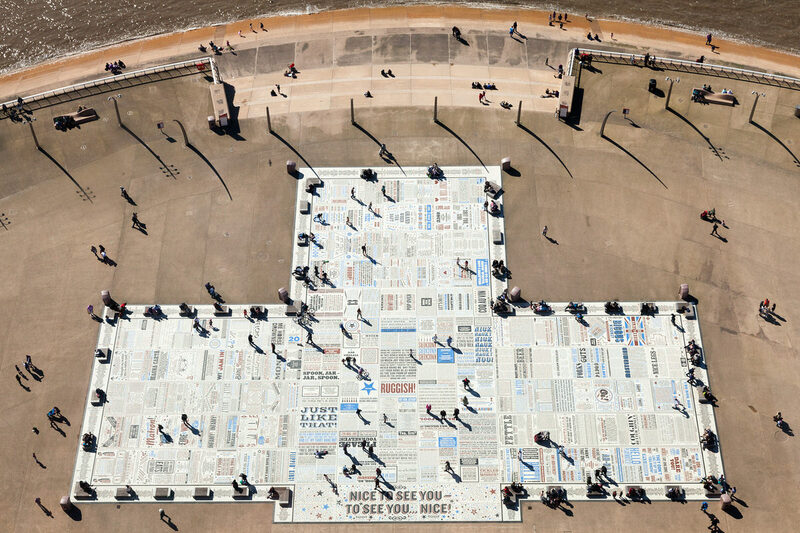 The £2.6m Comedy Carpet is a huge work of public art by Gordon Young which celebrates more than 1,000 jokes, songs and catchphrases from some of Britain’s most loved comedians and writers. Situated directly across from the iconic Blackpool Tower, The Comedy Carpet is a fantastic public space that will keep you and your family amused for hours. Although The Comedy Carpet is free, to get this view you’ll need to take a trip to the top of Blackpool Tower. This will cost you money, but you’ll get a spectacular view of The Comedy Carpet and the entire Fylde coast. The view alone is worth the £13.50 entrance fee if you ask me. Be sure to book online in advance to save yourself a further £3 on the entry fee! Fancy seeing the daring aerobatic stunts of the Red Arrows or hearing the almighty sound of a Typhoon? 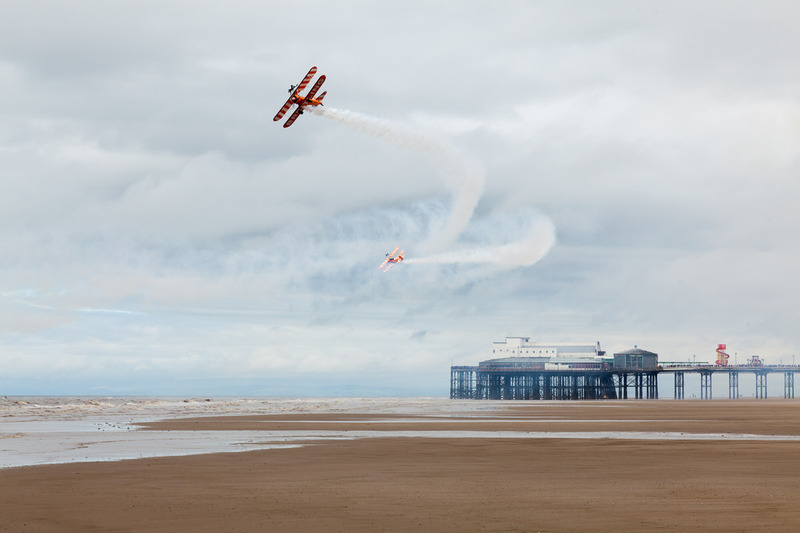 Blackpool annually hosts an air show which showcases a range of modern and classic planes and is a major event in the Blackpool calendar that attracts tens of thousands of visitors each year. This year, the air show will take place on Sunday 7 and Monday 8 August 2016 and will feature a wide range of different planes including the Typhoon, Spitfire, Hurricane and Lancaster Bomber, as well as the world famous Red Arrows. Parts of the beach will not be accessible during the air show due to health and safety regulations, so bring your binoculars or a camera with a telephoto lens to help you get as close to the action as possible. 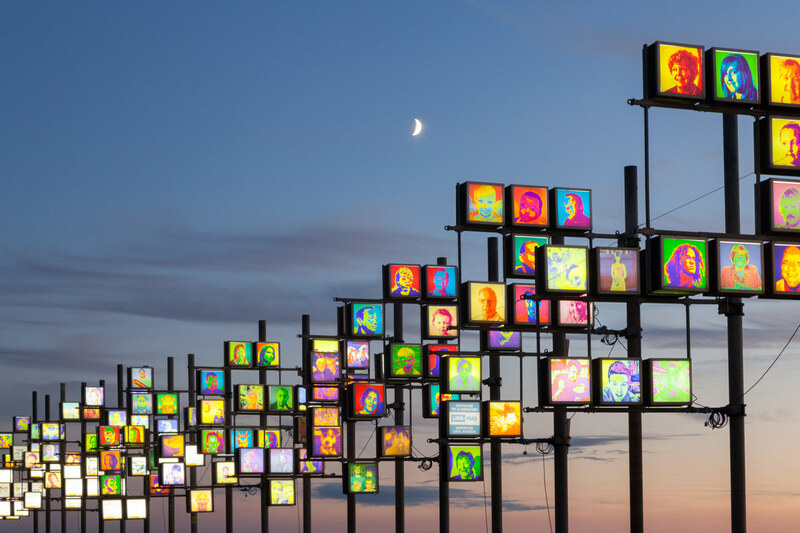 Blackpool Illuminations stretches almost six miles along the Fylde coast from Starr Gate to Bispham and attracts over 3.5m visitors every year. This annual Festival of Light, founded in 1879, takes place from late August until early November and has become an iconic part of British culture which is much loved by Blackpool residents and tourists alike. Most visitors drive through the Illuminations by car, but I highly recommend you get a sneak preview before the grand opening by attending the Ride the Lights event. And guess what, it’s 100% free (all you need is a bicycle, headlight and reflective duct tape you’re good to go!). 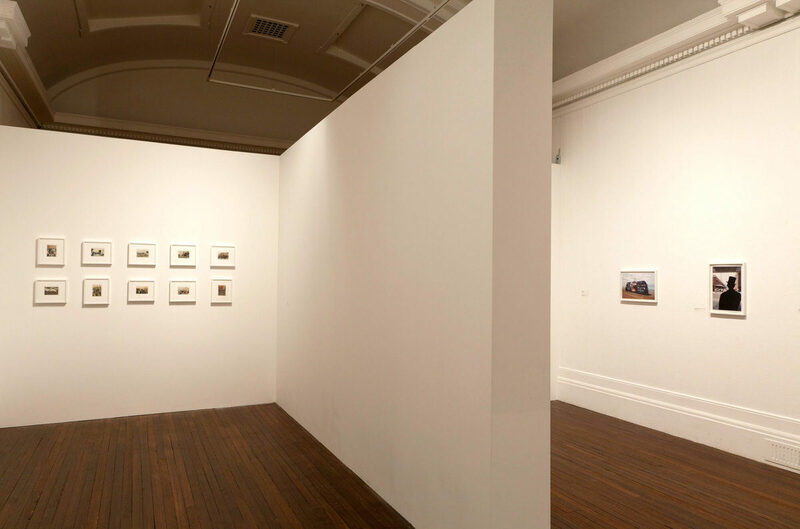 The Grundy Art Gallery has been at the heart of Blackpool’s cultural life since 1911 and hosts a programme of thought-provoking exhibitions to suit all tastes. The Grundy’s permanent collection contains almost 2,000 objects, including jewellery and video, oriental ivories, ceramics and photographs of historic Blackpool for all to enjoy. Artists include Craigie Aitchison, Ruth Claxton, Martin Creed, Laura Ford, Augustus John, Eric Ravilious and Gilbert and George amongst many others. The Grundy Art Gallery is open Tuesday to Saturday 10am to 5pm and bank holidays 11-4pm. It’s closed on Sundays and during exhibition installations. 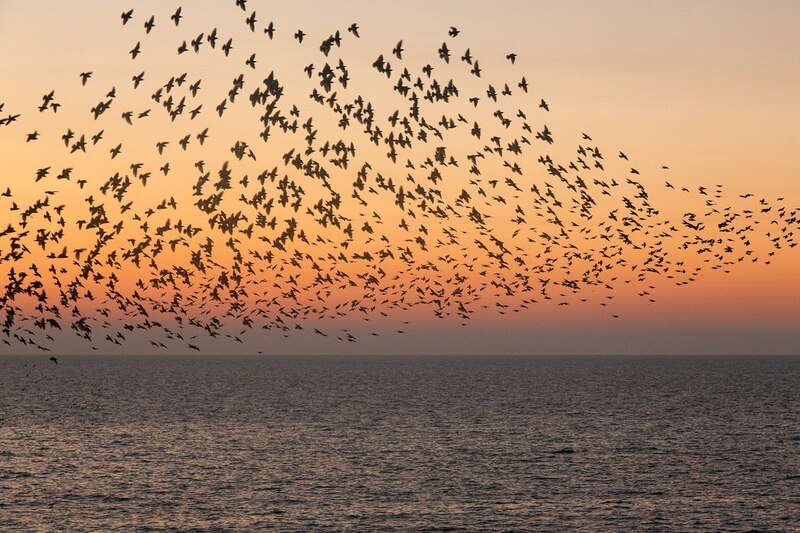 Every year, between late October and March, North Pier in Blackpool hosts a vast communal roost of starlings and is a prime location to witness a “murmuration” in the UK. A murmuration of starlings is one of the most majestic spectacles in the Natural world and are truly breathtaking to witness. I promise you, it’s a sight that you cannot afford to miss! Over the past decade, I’ve documented the behaviour of these gregarious birds in my award-winning wildlife photography series Starlings Above. Check it out to see more murmurations! Head to North Pier half an hour before sunrise or sunset during the starlings season for a chance to witness the magnificent murmurations. 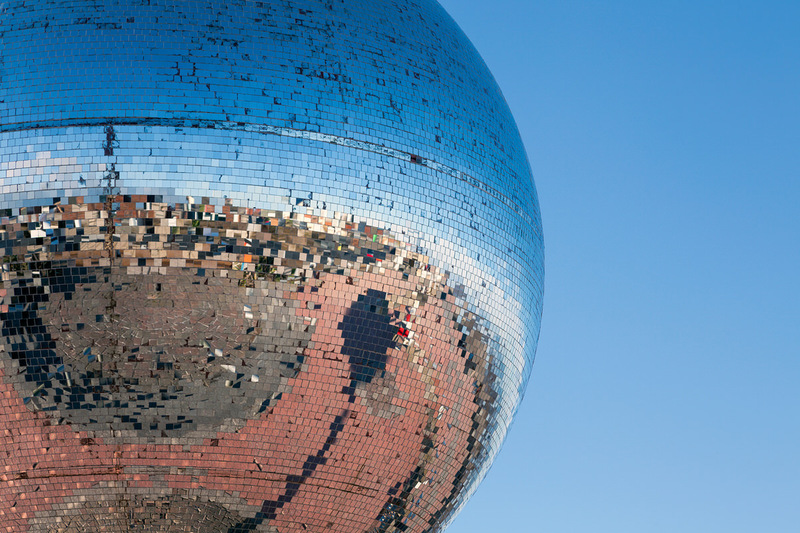 Spanning an incredible 7.3 metres wide, “They Shoot Horses Don’t They” is the odd name given to the world’s largest mirror ball. Illuminated at night with a colour changing light show, this iconic landmark can be found opposite the Solaris Centre in South Shore and is definitely a “must-visit” Blackpool attraction for people of all ages. 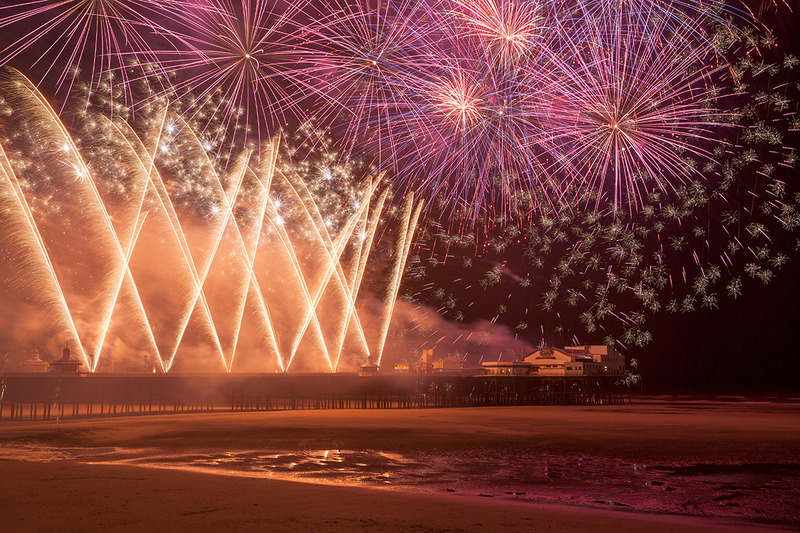 Each September, Blackpool hosts the crème de la crème of the world’s pyrotechnical elite for a series of spectacular fireworks displays that light up the sky above North Pier. It’s wonderful entertainment for all the family and, it’s 100% free! Traffic delays due to the popularity of the World Fireworks Championship can be avoided by taking a bit of time to enjoy the LightPool projection in front of the Blackpool Tower after the fireworks. Whatever you do, don’t park at the nearby Odeon cinema during the fireworks displays. It might be free to park your car, but there is only one exit from the car park and you’re likely to get stuck in there for awhile (I’m speaking from experience!). Do you want more FREE things to do in Blackpool? I also suggest you check out VisitBlackpool – a one-stop site for tourist information and things to do in Blackpool. AltBlackpool – a wonderful volunteer-led arts & culture magazine that keeps local people up to date with events and opportunities in Blackpool is definitely worth a visit to see what’s happening too. Thank you so much for reading this post. I’d love to hear your recommendations or the things you like to do in Blackpool, so please leave your comment below. P.S If you know someone who’d will benefit from this guide of free things to do in Blackpool share this post with them! This entry was posted in Blackpool. Bookmark the permalink.